Bumble bee found in the eastern United States. 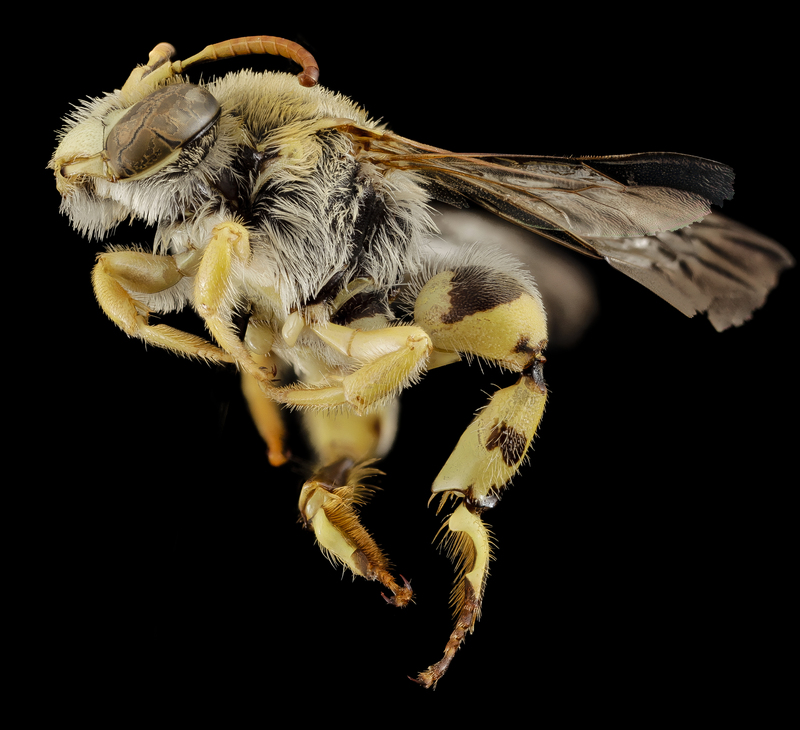 Photo by Sam Droege and the USGS Bee Inventory and Monitoring Lab. Bees are insects closely related to wasps. The main difference between bees and wasp is in their diet preferences: bees eat pollen for protein, while wasps eat other insects for protein. Given a bee’s need for pollen, a special relationship has evolved between bees and flowers, with bees playing an integral role in the pollination of many crops and plants. As a result, every third bite of food you eat is attributed to pollinators like bees , and pollinators contribute to crops valued between US$217,000,000,000 – US$577,000,000,000 to the global economy (see sources for Klein and IPBES). 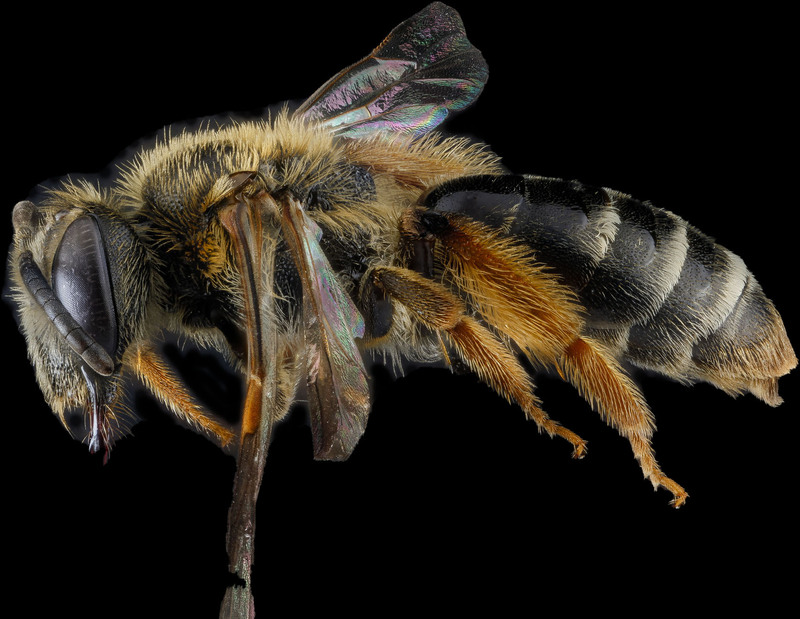 Most people are familiar with a few bees species—such as honey bees and bumbles bees—but there are an estimated 20,000 additional species of bees in the world. 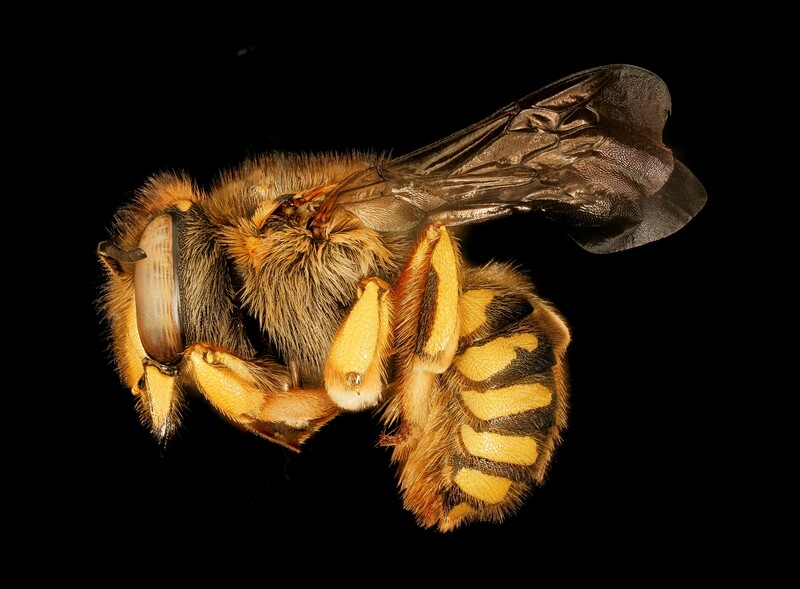 To see beautiful images of bees, visit the USGS Bee Inventory & Monitoring Lab’s Flickr page. The simple answer is that scientists think so, but it’s nearly impossible to find conclusive proof. To know whether bees are in decline, we need to know how many and what kinds of bees were flying around before the present time. This data does not exist for the majority of the 20,000 bee species around the world. 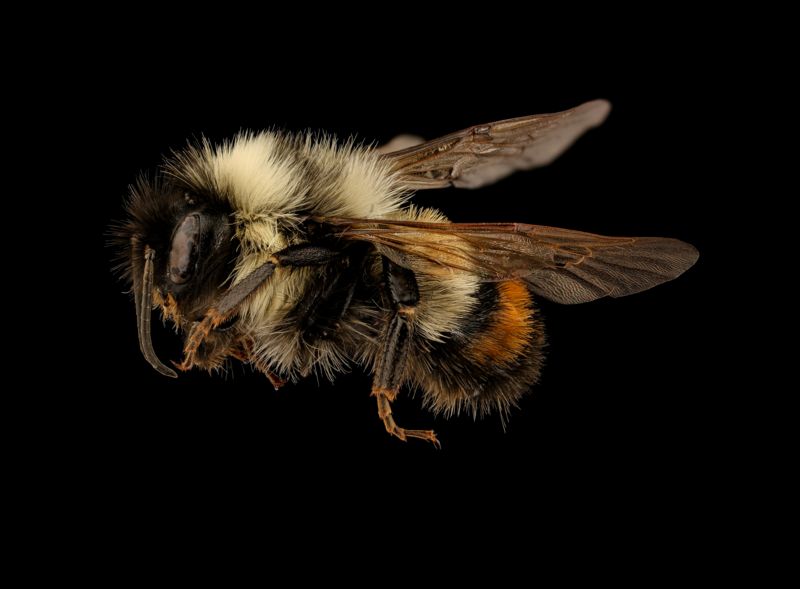 Scientist are concerned, however, because the data that does exist—while mostly for honey bees and certain bumble bee species in North America and Europe—suggests that various bee species are declining. To develop fruit and seeds, most plants need pollen moved from one flower part (the stamen) to another flower part (the pistil). This is called pollination. Pollination can happen with wind or air currents, with rain, and with animals such as insects or bats. Pollinators—e.g. bees—are the vectors that facilitate pollination. The majority of bees (70%) nest in burrows within soil, wood, or plant stems. These burrows are usually dug by a single female bee. Bees that live in hives—in the US that means only honey bees and bumble bees—choose hollow trees, crevices in rocks, or larger burrows found in the ground for their nest locations. Most nests are divided into cells, and each cell usually holds one egg and a small ball of food for when the egg hatches. Development of a honeybee, from larvae on the left, to nearly mature adults on the right. Most bees live for roughly one year. Although we tend to see bees in their last stage of life as flying adults, this stage typically lasts for only three to six weeks. Most of a bee’s life cycle is spent in the dark, developing inside their mother’s nest. Bees start out as tiny white eggs, which hatch into caterpillar-like larvae, which then turn into pupae, and finally emerge as the adult insects we know and recognize. When mating, a female bee usually receives a lifetime supply of sperm. When it comes time to lay eggs, she can lay either unfertilized eggs, or eggs fertilized with sperm. Unfertilized eggs develop into males, and fertilized eggs develop into females. Bees eat nectar and pollen from flowers. When they’re newly hatched from their eggs, the small bee larvae eat mostly pollen mixed with a little bit of nectar. As adults, bees eat mostly nectar mixed with a little bit of pollen. Pollen provides bees with protein, while pollen provides bees with carbohydrates and some amino acids. Bees tend to be most active on warm, sunny days with low wind speeds. When you see a bee visiting a flower, it is usually busy drinking nectar or collecting pollen for its young. Click through the slide show to see short descriptions of each bee family. IPBES (Intergovernmental Platform on Biodiversity and Ecosystem Services). 2016. Summary for policymakers of the assessment report of the Intergovernmental Science-Policy Platform on Biodiversity and Ecosystem Services on pollinators, pollination and food production. IPBES, Bonn, Germany. Klein, A.M., Vaissiere, B.E., Cane, J.H., Steffan-Dewenter, I., Cunningham, S.A., Kremen, C. and Tscharntke, T., 2006. Importance of pollinators in changing landscapes for world crops. Proceedings of the royal society B: biological sciences, 274(1608), pp.303-313. Litman et al. 2011 Why do leafcutter bees cut leaves? 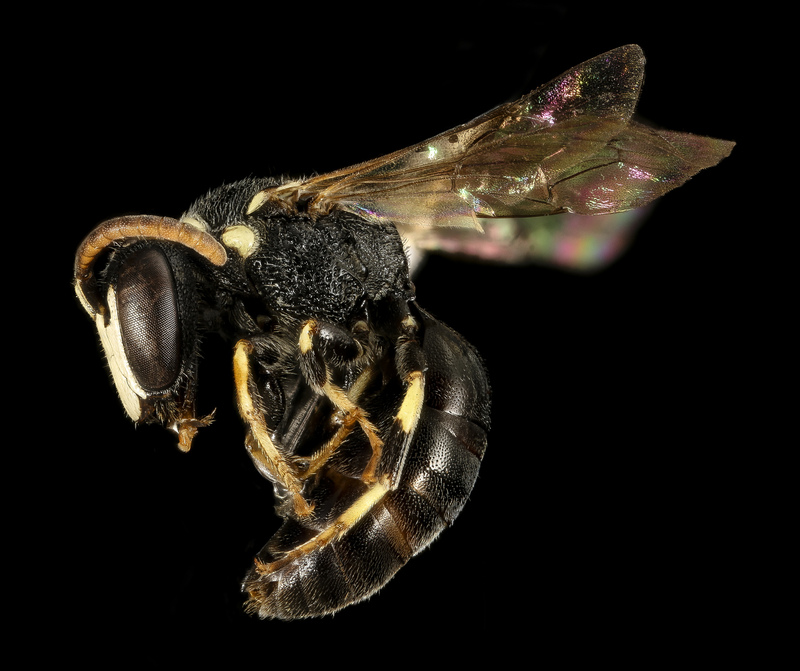 New insights into the early evolution of bees. Proc Biol Sci. 278(1724): 3593–3600. The Bees in Your Backyard: A Guide to North America’s Bees by Joseph S. Wilson & Messinger Carril. A wonderful guide to diving deeper into the world of bees. US Bee Inventory and Monitoring Flickr Account. 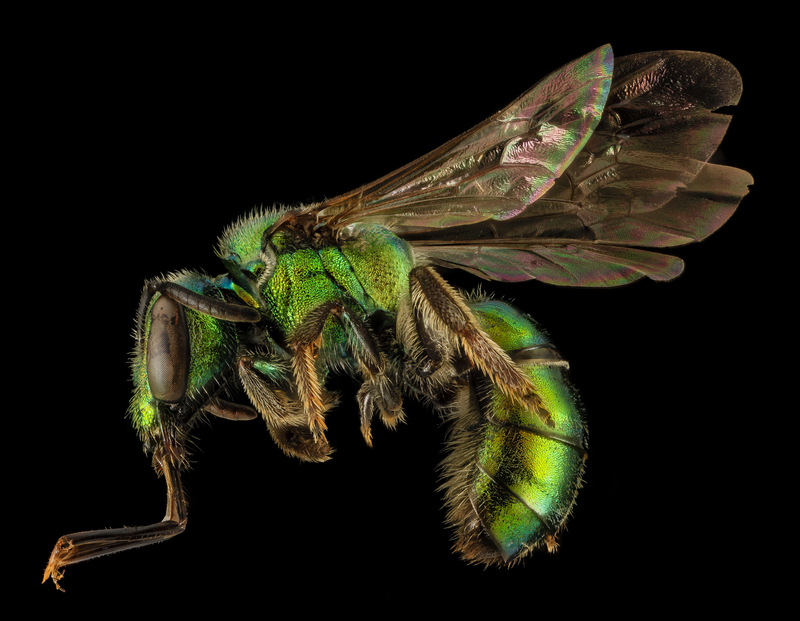 Check out many amazing high-resolution photos of bees here.